The Red Pig program was an off-shoot of the very successful California-Hawaii Elks Association Purple Pig program. 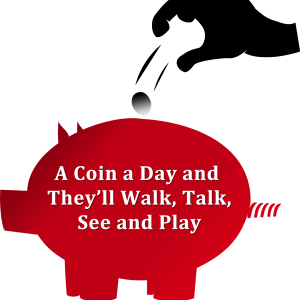 All funds the Lodge Texas Elks Sweetheart raises for the Red Pigs goes to the Texas Elks Children's Services Inc (TECSI). This money is used for free summer camp for special needs children as well as free medical devices that help enrich the lives of those who need it most. Texas Elks support nearly 350 children with special needs every summer. Any child with a special need, between the ages of 7 and 15, who is a resident of the state of Texas is eligible for admission to Texas Elks Camp. Texas Elks Childrens Services Inc is a 501(c)3, tax exempt number 74-2584826. You can download the IRS Determination Letter here. Elks Camp has been serving children with special needs since 1987. Children who meet criteria are able to attend at no cost. At Texas Elks camp the number one rule is to have fun! In addition, Texas Elks award over four hundred twenty five thousand dollars in Special Grants for Special Children to deserving Texas children with various special physical needs. Our desire is to improve the current and future quality of life for children with special physical needs. Children across the State of Texas have been helped with hearing aids, wheelchairs and computers with Braille capabilities, special braces, and a host of other devices that make special needs children stronger and more confident as they face their unique challenges. Texas Elks take great pride in this project. We are proud because we see children in our communities benefit and because this project has inspired us all to become more involved. Click here for more information. The application process starts at a local Elks Lodge. Our Sweethearts compete within their District. District Sweethearts compete to become the State Sweetheart. These are our State Sweethearts since we started the program in 1979. Congratulations to the 2017-2018 Texas State Sweetheart, Kent Fletcher, PanWest District, Amarillo Lodge # 923. 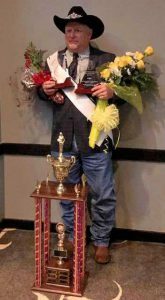 Kent will forever have the distinction of being the first man to ever win Texas State Sweetheart! Are you looking for the Sweetheart Zip drive with all the contents? You can download it here.